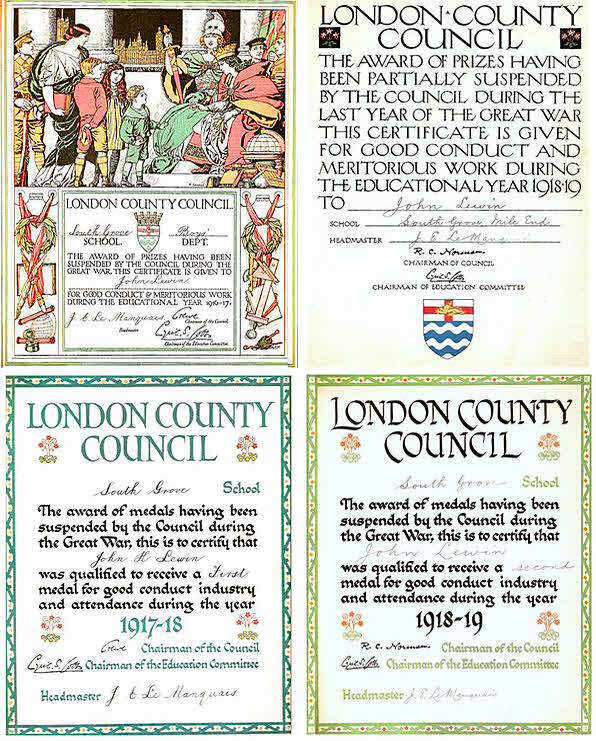 During The First World War the Attendance Medal and Prize Award schemes were suspended and replaced by paper certificates. Shown here are two Prize Certificates (above) and two Medal Certificates (below) awarded to John Lewin, a pupil at South Grove School, later known as Southern Grove School, and currently part of St. Paul's Way Foundation. John Lewin lived, and worked, in the Mile End area and was bombed out of his home twice during the Second World War. 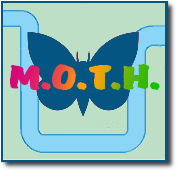 The Prize Award Scheme changed to issuing certificates due to the considerable increase in prices during the war, and other more urgent uses being found for the funds. The Medal Award Scheme was suspended as it was thought inappropriate that children should get medals for attending school when their fathers were away attending to the enemy.